Help! My Electric Water Heater is Overheating! 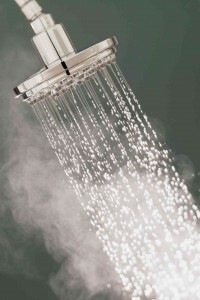 Is your water heater overheating? Not only can this damage the unit it can also put you and your family at risk of burning. One of the more serious problems you might encounter with your water heater is when the water coming out of the tap is way too hot. The water may be hot enough to cause burning. Not only that but pressure issues inside the hot water tank could damage the entire water heater system and become a serious headache. Since electric water heaters are not too complicated, you can usually diagnose the cause of the trouble when it starts overheating. Here are some things to check. Water heaters have dial indicators that allow you to control the temperature of the hot water. This is usually set at 120 degrees, but sometimes it may be set too high. Check the thermostat and adjust downward if needed. Sometimes the dial is accidentally tweaked too high so this is a good first step to take when trying to diagnose an overheating problem. Water supplies usually have some dissolved minerals that are not removed in the purification process. These minerals can clump together when water is heated and settle to the bottom of the tank or around the heating element. When these heating elements get coated with sediment they have to do more work to heat water, which can lead to the elements overheating. The water can absorb this heat, but the heating elements will usually fail not long afterward. The thermostat on your water heater controls the on and off cycle of the water heater elements. If there is a malfunction with the reset button of this thermostat, the on and off cycle will not function and this may lead to an unsafe temperature level of your hot water. Luckily, thermostats are pretty easily replaced. A failed or stuck pressure valve is a much more serious problem. This valve allows steam to escape from an overheating water heater. If the steam cannot escape through the valve, it can damage the tank and even cause significant injury to you and your family. If you hear water boiling in the tank, shut off the power to the water heater and contact a professional plumber right away to check and replace the valve. This entry was posted on Wednesday, December 14th, 2016 at 6:55 pm. Both comments and pings are currently closed.